This image of the women of the Qinghai Spinner's Cooperative in 2012 brings back a lot of memories: hearing the unique cadence of spoken Tibetan; the sharp, earthy (but not unpleasant) smell of burning yak dung; the brocades, sheep-skin collars, and brilliant woven trims of traditional Tibetan robes. Less pleasant, I also remember the hotel with one sink for all the guests, the two-hole pit toilet guarded by a huge dog on a tether of indeterminable length, altitude sickness, and being so cold that I wore all my clothes at once to try to get warm enough to sleep. There were other questionable fashion choices as well, case in point: a blue fur hat. What can I say? It was warm. But through all of it, there was the rhythm of spinning wheels. 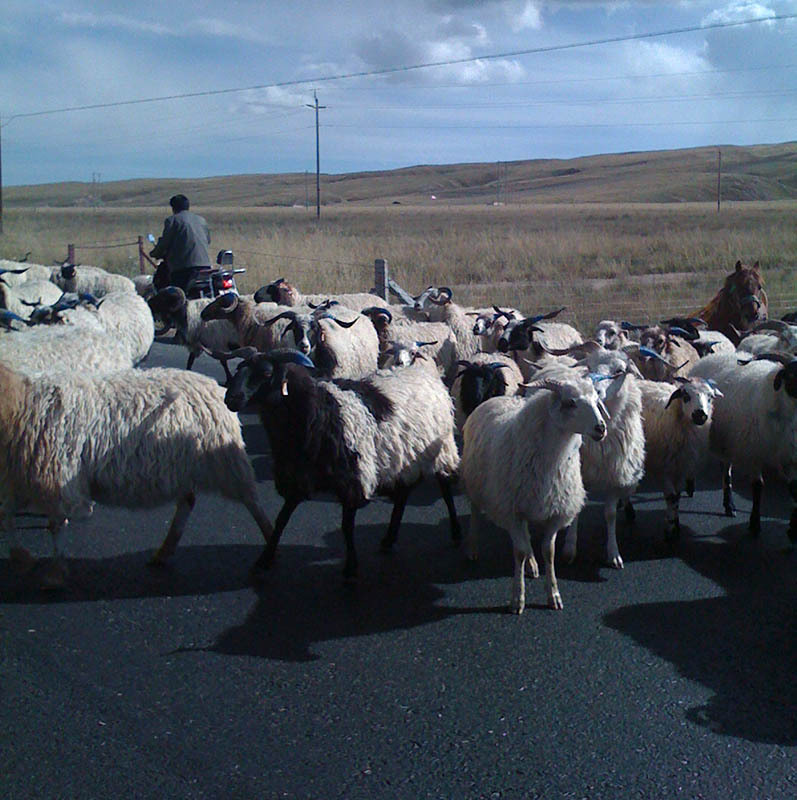 I was in Qinghai to teach women who'd be spinning on spindles their whole lives how to spin on wheels. In short, it was AMAZING to be surrounded by such a delightful gaggle of spinners. And now, it's time for me to share the best of their yarn (yes, I've been hoarding it). I have two large boxes of DK weight that I've been saving for a very special project, and the lovely Anna Maltz (aka Sweater Spotter) has designed Kermis, a fun and whimsical summer sweater to make the most of this unique yarn. I've been wearing my Kermis today, and just loving it - it's delightful to have a hand-knit, hand-spun, hand-dyed souvenir or a very special time and place.. especially one that keeps me warm! If you'd like to knit a Kermis of your own, kits are available in the shop.